The children didn't let us down and all slept VERY WELL! 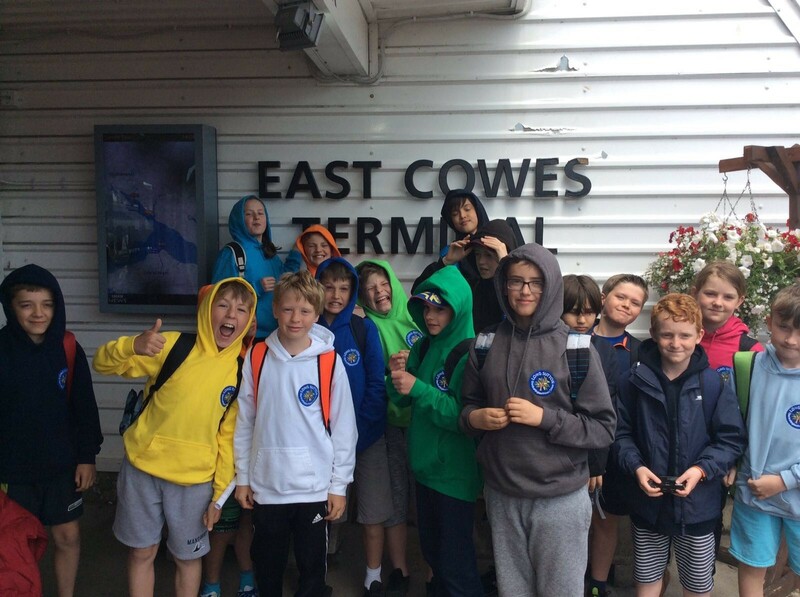 We woke this morning to rain, however spirits were not dampened! 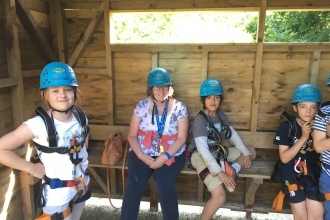 Our first activity was the giant swing. The screams, as we pulled the rip cord, could be heard all around the site! This was followed by an extremely wet and muddy sensory trail (apologies for the dirty washing!). After lunch, the sun came out just in time for the climbing wall and a spot of fencing. We will end this brilliant day by throwing some shapes at the disco. 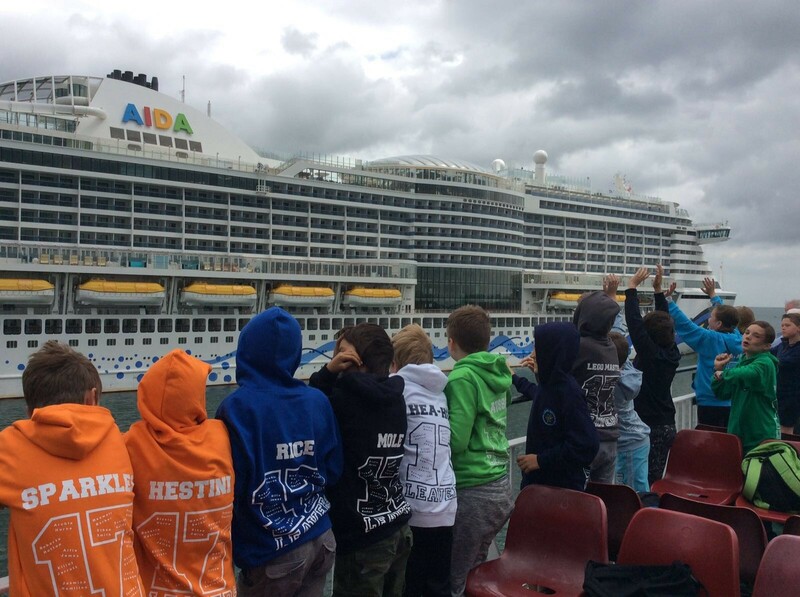 We are looking forward to telling you all about our adventures tomorrow. 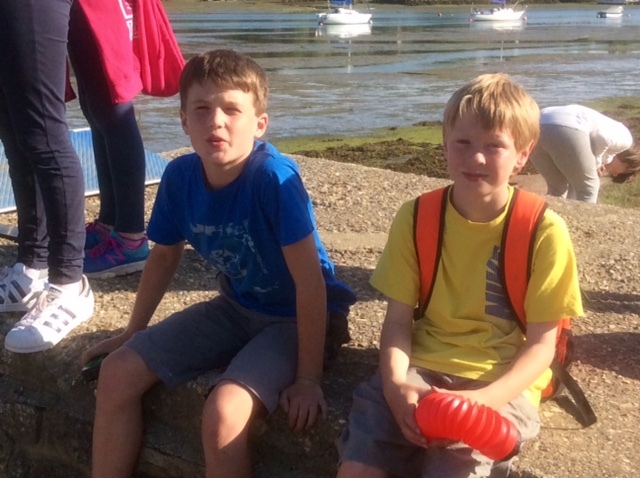 Everyone has had a brilliant day and we have had plenty of fresh air and exercise. 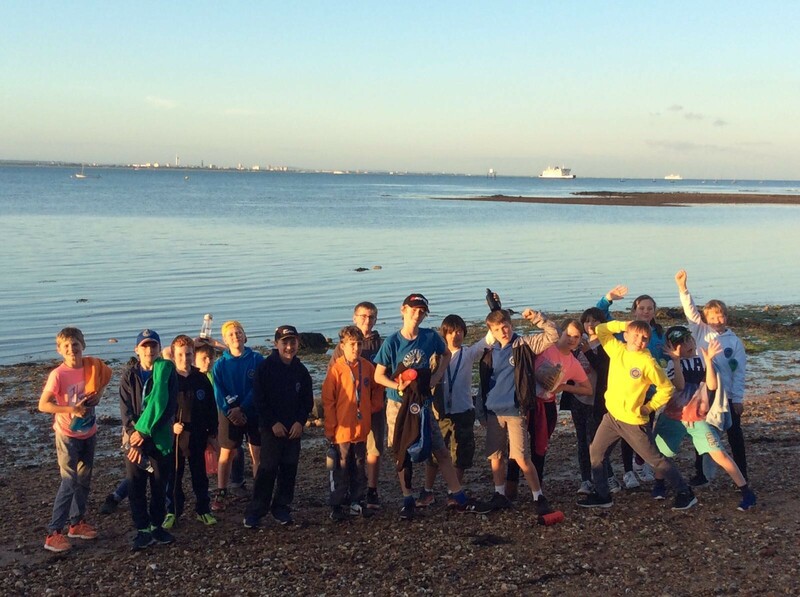 The morning was spent down at the beach canoeing on The Solent, ending with some fun games and we all got very wet! For the first activity this afternoon we built buggies and raced them. 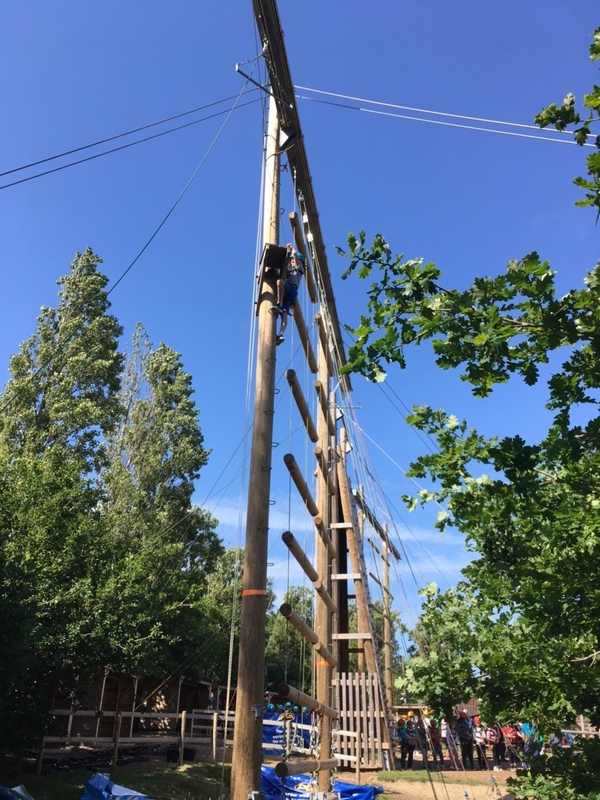 The second session involved climbing a tall pole and using ropes. Smiles all round as we had a visit from Mrs Pellow who was impressed with our efforts. After dinner we had activities led by Sophie. We think everyone should sleep well tonight! Hi all at Long Sutton we had a great journey with a smooth crossing in the sunshine. Arrived safely at little Canada and settled into our rooms. Our group leader is Sophie is great, she's shown us round. 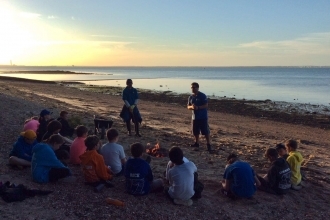 All ate well at dinner time and rounded off our day with a campfire on the beach toasting marshmallows and watching the sunset. To mark the end of our topic on Katie Morag, Chaffers had a Scottish Day. We took part in lots of 'Scottish' activities, such as dancing and creating pictures in the style of Scottish artist, John Bellany. We also built the Forth Road Bridge out of art straws! Chaffers class enjoyed celebrating World Book Day on 9th March. The children dressed up as their favourite book characters and read stories from other cultures. We made some colourful African-style pictures, based on the stories of Anansi the spider. 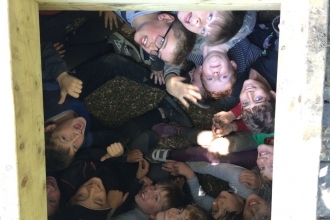 On 6th March, Chaffers class visited the Living Rainforest, near Newbury in connection with our topic on Madagascar. We learnt about different ways that rainforest plants and animals are adapted to their environment. We loved seeing some amazing creatures such as an armadillo and a sloth, and had a great time on the playground. We began the school year with two terrific Trailblazer days . 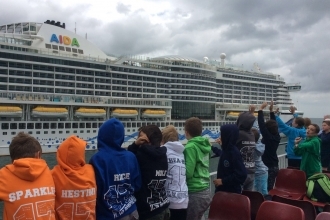 The children worked in their classes and in their year groups on a variety of different activities. 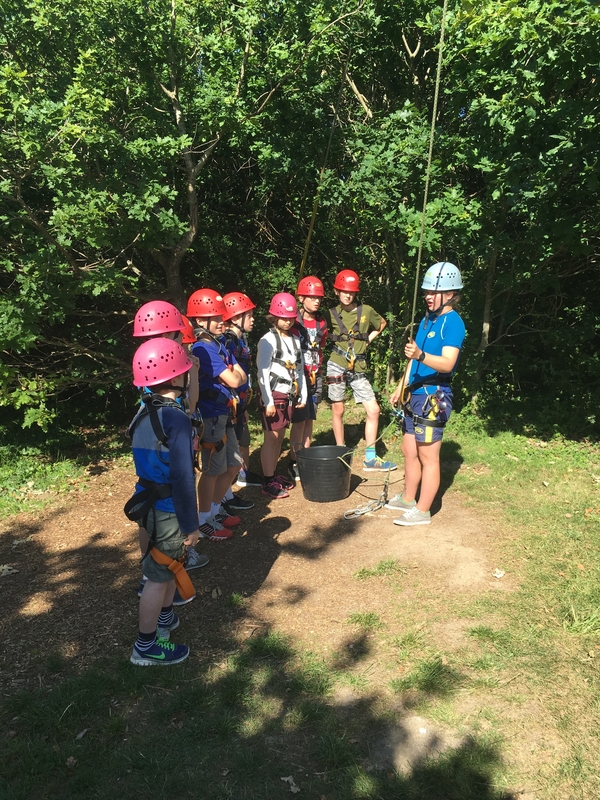 These included lots of team building and co-operative tasks to help them build strong relationships with their peers. 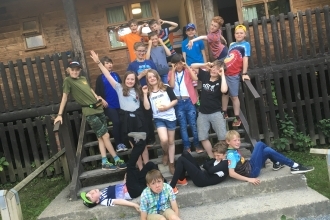 Other activities included parachute games , problem solving, artwork and even some outdoor cooking toasting marshmallows! Everyone agreed it was a wonderful way to to begin another successful year at Long Sutton. Have you seen our new running track on the school field? With the help of PTA fund raising, family donations, Upton Grey Trust donations and the Tesco ‘Bags of Help’ fund, we have been able to provide the children with the first part of an all-weather running track. This is phase 1 of the track, which joins the stone path; phase 2 will continue the track around to replace the stone path, once the funds have been raised. 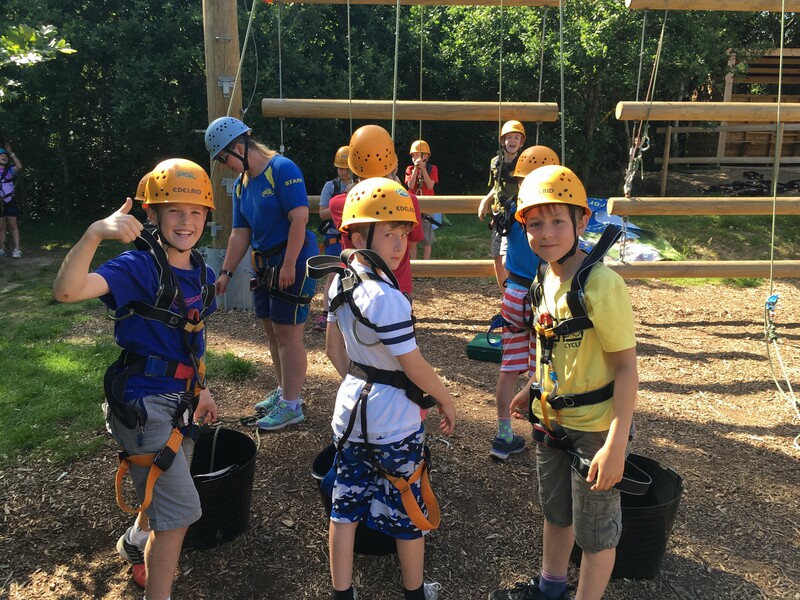 Y6 Residential Trip - Day 4. 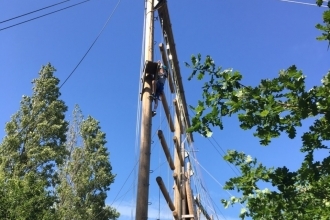 After an early start, it was off to conquer our fear of height by climbing up and jumping off high things! A few fears have been overcome. 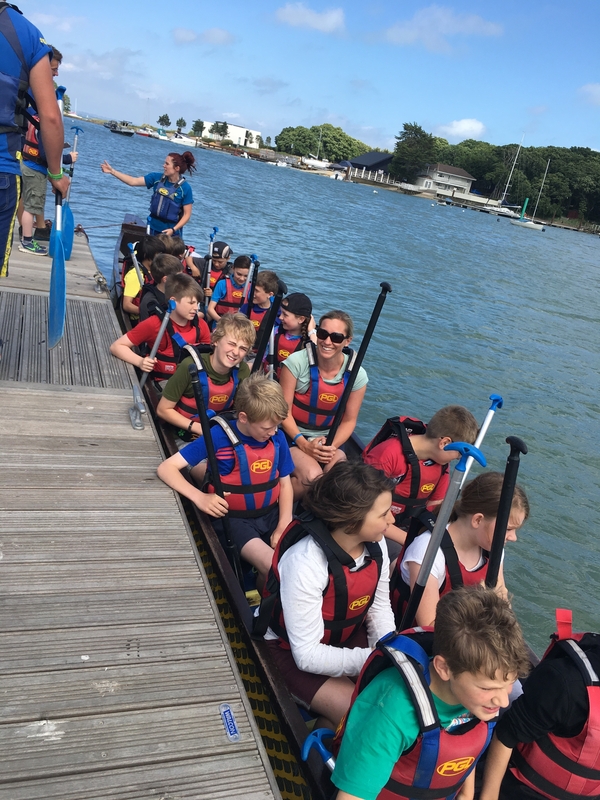 We have also discovered that we are amazing at dragon boat racing after winning every race, even when we gave the other teams a head start. So how do you end such a great day? Well, with a disco of course! 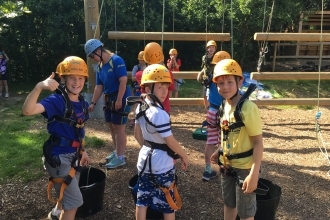 Y6 Residential Trip - Day 3. The sensory trail involved a lot of noise as everyone got very wet and muddy! 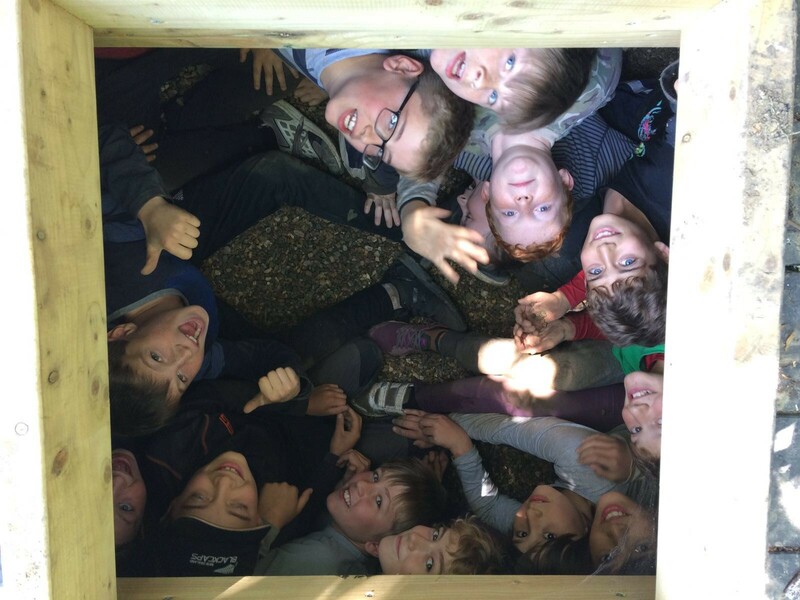 We had great fun playing a variety of games in an activity named 'tunnels' before welcoming Mrs Earl and Mrs Newcombe and waving goodbye to Mrs Cameron and Mrs McAlpine. 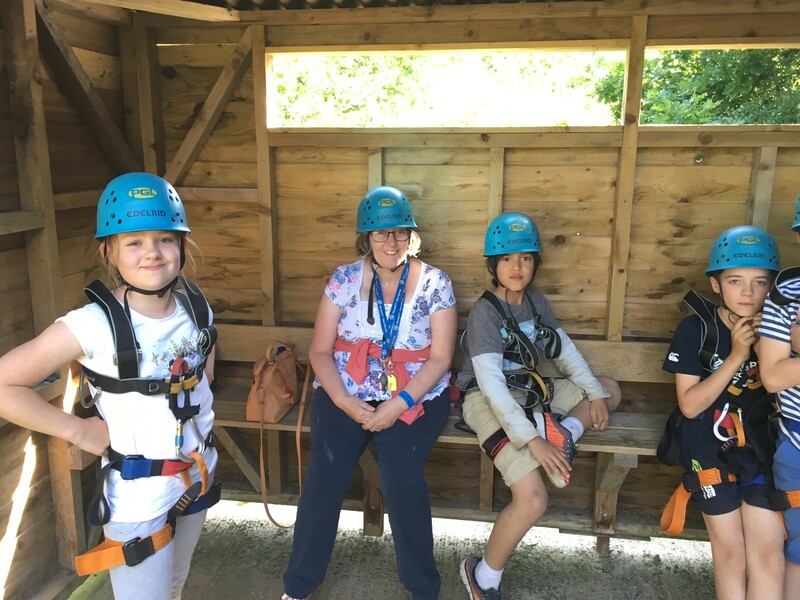 Finally the time had arrived for the Giant Swing, and it did not disappoint- the screams could be heard from miles around! 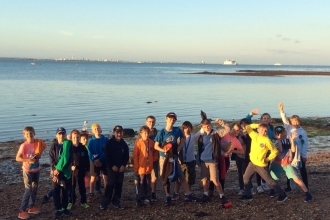 The day rounded off with games on the beach. With lots more still to look forward to on our final full day of activities tomorrow, we'll be back before you know it! 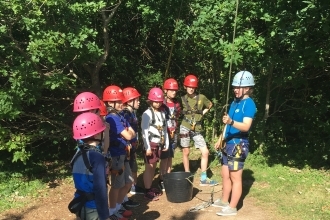 Y6 Residential Trip - Day 2. Another sunny day and everyone looked better having all had a good nights sleep. Here we are outside our rooms. 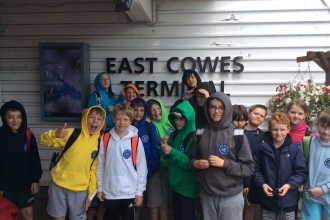 Y6 Residential Trip - Day 1. A windy crossing but the sun greeted us when we arrived. 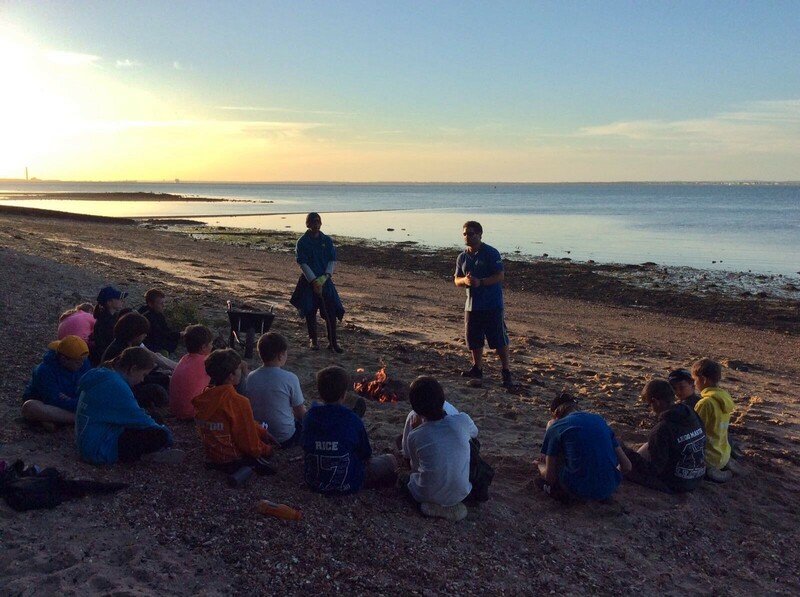 A lovely first evening with a campfire on the beach. We enjoyed a fantastic day exploring science, asking questions, finding out and having lots of "Wow!" moments. 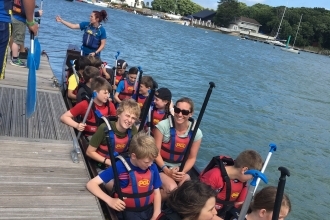 All year groups took part in a diverse range of activities and experiments, carefully planned by their teachers. The children were treated to a visit from the teachers and students of Lord Wandsworth College who lead some exciting science activities. A special thanks to friends of the school who came to talk to the children about how they use science in their jobs. 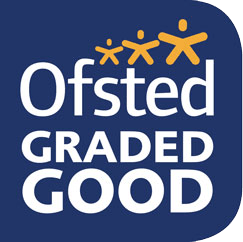 The school held a School Grounds Day with parents, children and staff all involved. The old vegetable beds were renovated into a quiet area for children to read and talk to friends, away from the hustle and bustle of the main play area. Entering through an archway, the children get the feeling they are approaching a special area! 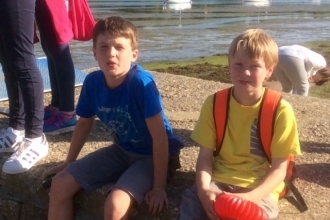 A group of KS1 children joined several Hampshire schools for an afternoon of sport. 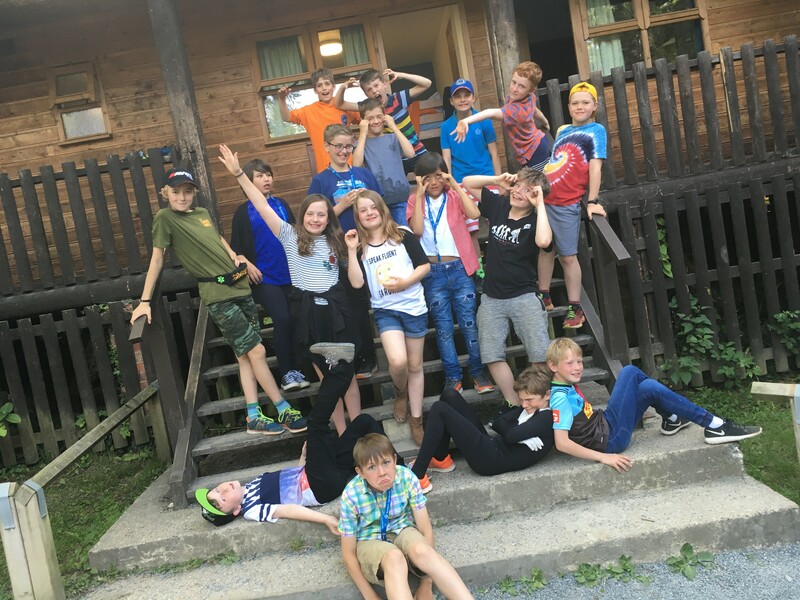 The children enjoyed experiencing many team games and were rewarded with a medal for taking part. The children and staff did a fantastic job dressing up as their favourite book character to celebrate World Book Day. Here are some photos from Benhams class. Chaffers class went on a trip to Bird World in Farnham. They took part in a 'Frozen Planet' tour and learnt a lot about how different animals and birds adapt to extremely cold environments. A trip to Farnham Museum of Country Life was the destination for Kimbers class this week. The day was spent learning what life was like in the Second World War as an evacuee at school as well as exploring air raid shelters and making Go and mend! A team of year 5 and 6 boys represented the school at a Futsal tournament (indoor football) which took place at Samuel Cody school. The boys represented the school and played exceptionally well. Four matches were played against some very tough opposition and although we did not win the tournament, it was a fantastic experience leaving the team wanting to play more futsal. Children from Benhams and the choir were lucky enough to visit the O2 arena to perform in the Young Voices Concert. This was a really happy day and a great experience for everyone! Thank you to the parents who come along to help. Chaffers come to school as Polar Explorers!. The children were involved in freeing the penguins from the ice, creating an iceberg and a polar expedition. Even Mrs. France and Mrs Hickling dressed as penguins for the day!